Candle light usually means one of two things. It could mean you’re in for a night of romance, or it could mean you’re in for a night of horror, spooks, and dark magic. This Halloween, you can add just the right light to cast sinister shadows for Halloween. Of course, there’s no reason you shouldn’t start the party early with a bit of flame. Here are five unique candles that look, smell, or transform into something seasonally appropriate for October 31st. Inspired by the Harry Potter series, this candle transports users to Hogwarts. Only figuratively, unfortunately. The scents include bergamot, dragon’s blood, frankincense, and myrrh. All of Frostbear Studio’s candles are handmade in small batches and feature soy wax, cotton wicks, and glass jars. Once the candle burns out, the jar is a good size for keeping crafting bits, odd specimens, or very small hostages. 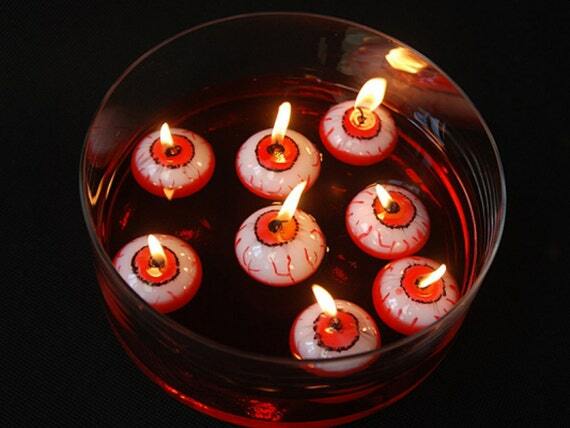 First of all, yes, these really are candles, and yes, they really are creepy. While these candles are made of unscented paraffin wax, it obviously isn’t their smell that sets the mood. Each is hand painted by the artist, and since this is a small seller, it’s important to order early if you want these darlings to greet your trick-or-treaters this Halloween. Nothing says Halloween quite like dismembered body parts and bones littering your abode. This candle is made from beeswax. 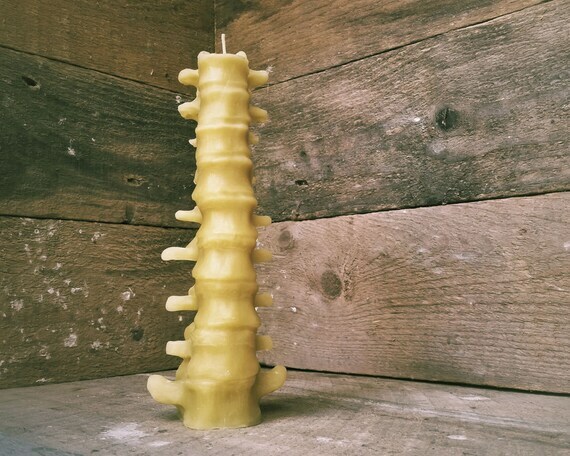 It looks so realistic because it is a handmade item and the candle was molded from real human vertebrae. If your party is especially festive, this candle is a great way to set the mood. The scents blend traditional carnival scents with disturbing undertones to keep your guests on edge. 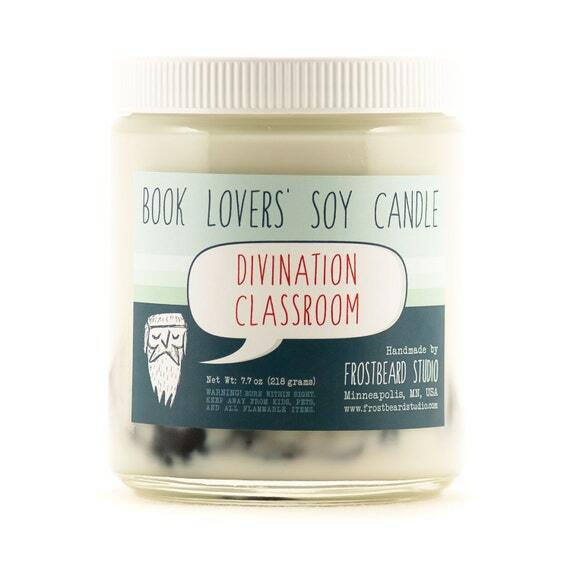 The candle is handmade from soy wax. If you’re looking for something truly unique, check out these floating eyeballs. 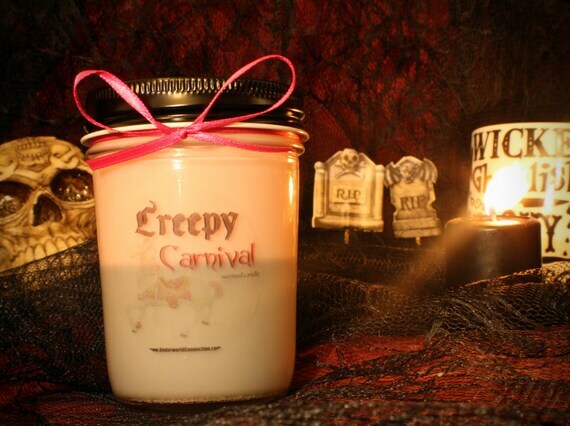 Made from paraffin wax, these handmade candles inspire double takes and madness. They make a poor substitute for apples, however, when bobbing.